He is also the author, with Todd Wheatland , of The New Rules of Recruiting , an excellent short book published in 2013, on which I reported in this blog. The Association has helped me to steer new content for both the magazine and well as for our events." 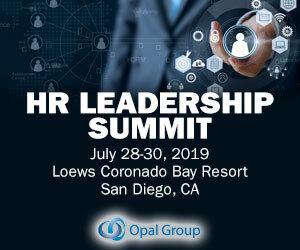 HRTech #FutureofWork #AI #HCM #Leadership #Recruiting #WomenInTech #HRTechnology #Digitalworkplace #TalentMobility #CHRO #PeopleAnalytics #HRTechExpo #EmployeExperience #WomenInBusiness #Analytics #Chatbot #Blockchain #EmployeeExperience. Talent advisor. Chief Learning Officer magazine’s LearningElite. Further demonstrating that we work to put in place the best practices in HR and recruiting, we’re proud Paycor Vice President of Talent Acquisition, Bill Neese, was named Talent Acquisition Leader of the Year by HRO Today and Chief Human Resources Officer, Karen Crone, was honored by HRO Today as a CHRO of the Year Award Leader of Distinction.